Home Futures contribution: Just what is it that makes today’s homes so different, so appalling? Way stoked to have the following piece in Home Futures, the catalogue for the Design Museum’s impressive new show of the same name, alongside incredible work from Open Structures, Superstudio, Enzo Mari et many al. & essays from the likes of Deyan Sudjic and good Justin McGuirk. In full, it’s called “Just what is it that makes today’s homes so different, so appalling? : Labor-saving technologies, digital nomadism and the ideology of ease.” Please enjoy. For most of us, home is a great many things. It affords us shelter from the elements, most obviously, but also a platform for conviviality and a container for our earthly possessions. Its address and appointments offer us, if we are lucky, a store of social capital to trade on; its walls and spaces an ark in which familial memory can be borne down through time; and its furnishings a supple, versatile medium in which we might express the uniqueness of the selves we understand ourselves to be. In recent times, though, the dwelling-place is increasingly asked to serve one end above all these others. The home is now supposed to support efficiency — not merely or even chiefly its own, but that of its occupants. In sheltering, resting, restoring and entertaining us, it is supposed to underwrite our ongoing ability to act in the world as the autonomous, prudent, rational actors the regnant moral-economic theory of our age calls for us to be, in a manner as parsimonious with time, effort and other resources as is practically achievable. Over the past century, we can see the drive toward efficiency settling over the domestic environment in three broad and overlapping waves, each of them arising in response to the technosocial possibilities of a given moment. The first and longest of these waves, starting around 1920 and yet to be fully concluded anywhere on Earth, accompanied the introduction into the home of labor-saving electromechanical appliances — a parade of ever-lighter and more powerful vacuum cleaners, dishwashers, washer/driers, convection ovens and lawn sprinklers, without which the exacting hygienic and self-presentation standards of middle-class existence become hard to maintain. The second is of far more recent vintage, getting under way only after the smartphone and widespread broadband connectivity had reached ubiquity in the urban centers of the developed world. It translates the distinctively neoliberal corporate logic of outsourcing into domestic terms, calving off each distinct function pursued in the course of ordinary household life (laundry, meal preparation, maintenance, even pet-, elder- or childcare) as a task to be mediated by an array of single-purpose apps. The third, though it found early expression in certain utopian architectural currents of the 1960s and 1970s, is something we can only as yet perceive in vague outline, as a weak signal from a future that may or may not be coming into being. Seeking maximal efficiency by liberating the unencumbered body to dwell and work productively just about anywhere on the planet, this wave of innovation leaves traditional notions of home behind entirely. Whether framed in such radically nomadic terms, though, or in the relatively drab and conventional ones of an “Uber for laundry,” there is no better way of understanding the trade-offs involved in the quest for domestic efficiency than by pursuing them to their source: the original provision of the middle-class home with labor-saving technological devices, a hundred years ago. The automation of home life is a well-trodden path across what is by now a full century of design, but most of the overt celebration of automation as a virtue in itself came during that century’s first half. From R. Buckminster Fuller’s Dymaxion House (1920) to the Philco-Ford 1999 AD House (1967), there is no trope more central to the era’s vision of domestic ease. Most of us of a certain age recognize the exemplary Homes of Tomorrow, from a long succession of World’s Fairs, Expos and Walt Disney TV specials. Taking the Corbusian notion of the home as a “machine for living” with striking literality, these all-electric lifepods pampered their occupants with easy-dusting curves, instant-cooking Radaranges, push-button control panels and hose-down floors. Whatever savings of time and energy was realized by such devices was primarily intended to benefit “the lady of the house,” it being assumed by designers almost without exception that the male head of household was elsewhere, earning a crust. The liberation from drudgery they offered was, in any event, ambiguous and ambivalently received. As Betty Friedan had observed in The Feminine Mystique (1963), nobody quite knew what to do with the time left over after the daily round of chores had been seen to, and the endless hours in splendid suburban isolation were every bit as suffocating and soul-deadening for women trapped in the home as the cycle of métro-boulot-dodo was for the men tasked with bringing home the bacon. Little surprise, then, that the tranquilizer Miltown (cf. The Rolling Stones, “Mother’s Little Helper,” 1966) became the first runaway success of the postwar pharmaceutical industry. Precisely what was it that the proud owners of these gleaming new labor-saving appurtenances were being freed for? For much of the twentieth century, the canonical answer would have been “leisure time” — which is to say, a period in which the adult members of the family might amuse, exercise and psychically restore themselves, renewing their labor power while partaking maximally of the fruits of a consumption-oriented economy. Thus the anticipatory visions of laughing, pipe-smoking dads and gingham-bloused moms so common to the era, waving at Junior through the seamless glass of the swimming pool set into the wall of their living room, or playing canasta in the swiveling leatherette seats of their self-guiding, bubble-domed futurecars. By midcentury, with the Keynesian economies of the West riding the postwar expansion to heights of collective wealth never scaled before (or, for that matter, at any time since), the architects of domestic tranquility had seen the future, and it was leisure. And here we stumble across a problem. After five solid decades of triumphantly unbroken innovation in microelectronics — three of which have seen an easy-to-use global informational network gradually extended until it can reach virtually every domicile on the face of the Earth, and the past two a parallel revolution in supply-chain management, low-cost manufacturing and logistics — we have never before had more, cheaper or more powerful labor-saving devices in the domestic environment. A panoply of networked objects are now distributed through the “smart home,” in a local deployment of what is generally described as the “internet of things,” or IoT; in addition to the by-now-unremarkable networked thermostats, lightbulbs and webcams, these can include a wide range of embedded sensors and actuators. Increasingly, the white goods themselves are networked, often to no clear end beyond affording the harried householder a remote control in the form of their smartphone, with which to begin the drying cycle or kick on the air conditioner while still stuck in commute traffic an hour away. Taken all together, they are capable of dynamically optimizing the home environment across multiple axes, ensuring that its temperature, lighting levels, security posture and so on all continuously correspond with whatever state is desired by the user/resident. Increasingly, as well, such tasks are mediated via the natural-language speech interface of “virtual assistants” like Apple’s Siri, Amazon’s Alexa and Google Home — beachheads and points of presence in the home for the most advanced consumer-facing artificial-intelligence capabilities researchers have yet been able to devise. It would seem that peak domestic efficiency is very much within reach of anyone with the nous to download a few apps. But for all of that, the leisurely future we were promised failed to arrive on schedule. In fact, it didn’t materialize at all; if anything, “leisure,” in the creaky, Affluent Society sense of the word anyway, is a thing that scarcely exists anymore, for almost any one of us. If it isn’t the mass production of leisure time, then, what problem does the smart home think it’s solving? The time saved by going to all the trouble of continuous modulation is time for what, exactly? Given that the devices and services in question notably tend to be designed for people whose tastes, preferences and lifeways very much resemble the designers’ own, the contemporary Bay Area answer would appear to be “more code sprints and daily scrums,” i.e. further Stakhanovite exertions on their employers’ behalf, directed toward the goal of bringing ever-more-niche information-technological conveniences into being. But there’s a strong element of bad faith to all of this as well, and revisiting a curious landmark in the history of automation shows us why. In 1770, the Hungarian inventor Wolfgang von Klempenen presented his empress, Maria Theresa of Austria, with the curious contrivance that has become known to history as the Mechanical Turk. This was a cabinet atop which sat the torso of a figure garbed and turbaned in the manner of an Ottoman sorcerer, one arm equipped with a pipe and the other constructed in such a way as to give it the freedom to pluck chess pieces from a compartment and move them about a board set into the cabinet’s surface. To the awed delight of its royal audiences, this seeming automaton played at grandmaster level, taking on all comers and seeing them down to defeat, governed by nothing more than the elaborate assembly of brass gears, cogs and rods visible within its cabinet. If the classic labor-saving appliance, for the most part, did away with the necessity for uniformed household staff by replacing their exertions with electromechanical might, the boomerang twist of the app age is that there are once again human beings in the loop: actual flesh-and-blood servants, merely time-shared, fractional ones. Whether the task involves the performance of cleaning and tidying, laundry, grocery shopping, pet and plant care, or light household maintenance and repair, you may be sure that there’s an app for that. But the app itself is merely a digital scrim behind which a largely immigrant labor force hustles and sweats and bids against the others competing for the same jobs. There is inevitably a raced and a gendered aspect to this, as well. If, in the new app economy, the effort and care of household maintenance is displaced not primarily onto machines but onto other bodies, it is notable how often those bodies are female, how very often darker than those requesting the service. The only significant exception here lies in the area of dining at home; a prominent fraction of “lead users” bizarrely seems to have interpreted the demands on their time as so pressing that they prefer gulping down a flavorless nutrient slurry like Soylent or Huel to a sit-down meal of any kind, even one prepared by someone else. What we see here is a curious elaboration of something the educator Bradley Dilger has described as the “ideology of ease,” an implicit (when not entirely open and explicit) body of assertions that undergirds the design of information-technological devices and services, very much including those at the heart of the contemporary home. This ideology proposes that devoting effort or attentional resources to the tasks before us is undesirable — even, somehow, unseemly. Think of it as the demand for convenience raised to the nth degree, articulated virtually as a right. Accordingly, much of the grandeur in contemporary design lies in streamlining processes until they consist of a few taps at most: the “Buy Now With 1-Click” imperative. But as a consequence, any opportunity for reflexivity is shortcircuited. Whatever values are manifested by these apps, they’re folded up like origami inside the interaction flow, no longer available for conscious inspection or consideration. So when you ask Siri to call you a car, that car will invariably be booked via Uber, an enterprise which notoriously refuses to shoulder any of the risk involved in operating a mobility-on-demand service, achieving growth by shedding that burden onto its drivers, its passengers and the communities in which it operates; and when you ask Alexa to order you more cat food, that order will be fulfilled by workers sweltering in a passing-out-hot warehouse where management won’t let the doors be opened to admit a little breeze, because of the risk of inventory pilferage; and when you ask Google to book you a table at your favorite restaurant that reservation will be made via OpenTable, a service which imposes onerous constraints on restaurateurs and waitstaff alike. These choices, these allocations of power are subsumed beneath the surface, the judgments and valuations inscribed in them simultaneously normalized and made to disappear. And if you should happen to find any of this disturbing or offensive…tough luck. That’s just the way things are in smartworld. Effectively, your choices are limited to take it or leave it. It may have taken us some time, then, but finally perhaps we can learn to see “smart” for what it so often is: an inscription of power. For a cohort who experiences even the time spent preparing and enjoying a meal as an intolerable interruption of their availability for work, homelife itself is a burden. For them, the very notion of a permanent dwelling is, in its fixity of place and the opportunity cost of the investments lavished on it, a suboptimal condition — an obstacle to the frictionless mobility our age calls upon us to deliver, and a roadblock on the drive toward total efficiency. And this leads directly to the culmination of this entire line of thinking: the suspicion that the most efficient of all possible homes may very well be no home at all. Visionary architects of the 1960s believed that the dwelling could be brought with the body like a shell. This tendency, explored in whimsical projects like Archigram’s Suitaloon and Cushicle (1964-1967) and Francois Dallegret and Reyner Banham’s Environment Bubble (1965), reached its apotheosis in Martin Pawley’s rather grimmer vision of “terminal architecture,” in which individually-scaled mobile shelter units pick their way through the rubbled fields of a blasted transapocalyptic nonscape, mediating the unbearable reality all around to the nearly vestigial flesh within. 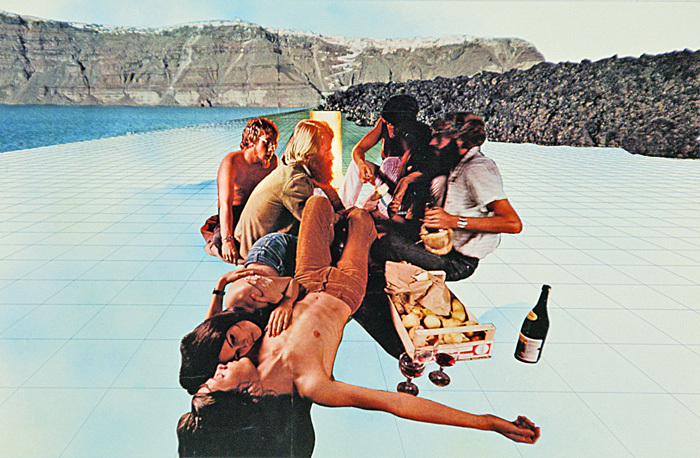 A rather more palatable interpretation of nomadism was the “plug-in lifestyle” foreseen by futurist Alvin Toffler in Future Shock (1970), and elaborated in fiction by John Brunner, in the legitimately visionary 1974 novel The Shockwave Rider. Brunner’s plug-in people went where the jobs were, dipped into casual relationships with whoever happened to be close at hand, moved on from either the moment they stopped being fun, and in any event found the material and human terrain comprehensively prepared for such acts of transience, wherever they should happen to alight. Despite a brief enthusiasm for the “technomadic” life at the moment it first became technically feasible, though, around the turn of the millennium, it seemed like such visions would remain safely the province of those whose job it is to speculate about the future. But things have changed in the years since, with the rise of the network and the cloud, the ubiquitous provision of smartphones to serve as interface and mechanism of payment, and not least the stunning global spread of Airbnb, whose success supports the business case for the new wave of coworking/coliving ventures. Finally the logic of outsourcing can be raised to its perfect realization. You can now offload virtually all of the processes that underwrite domestic life onto a commercial service provider, allowing you to focus on your core competency, whatever that should happen to be, and to pursue it wherever on Earth you are able to find an audience, a market or a community. At present, there is no suggestion that anything beyond the tiniest number of people will ever choose to live this way over even the medium-term. But it would be unwise to count it out completely. Consider WeLive, a residential offering developed by the hugely successful WeWork chain of coworking spaces, which orients its offering toward a customer base who are “always working or always semi-working.” Or Roam, a competing “global community of coliving and coworking spaces” that offers members the opportunity to touch down and get busy at their San Francisco, London, Bali, Miami or Tokyo locations, for prices starting at $500 a week. It isn’t so much that the plug-in vision of unlimited freedom was superseded, or even betrayed, as that its present-day realization for a few reveals something telling about what the rest of us want and need. For all the value on liberation implicit in the dehoming movement, just the opposite appears to be happening, reflecting a need most of us have for continuity and stability at a time when very little else seems to be holding fast. But for some tinkering around the edges — primarily driven by the microhome ventures of the commercial real-estate development industry, and perhaps some experimentation with household structure on the part of those embarked upon polyamory — the twenty-first century home remains astonishingly conservative. In its stasis, it offers a place to recover from the world, perhaps even from the pressure toward efficiency itself. In our time, this is no longer a matter of Taylorist time-and-motion studies or Dreyfusian calibrations of the body in space, but something more intimate still, harder to define and far less concrete. It’s about reforging yourself to meet the demands of a brutally competitive market for your labor: making yourself fit, rested, ready, reliable, available via multiple communication channels at any time of day or night, and ready to go wherever the work takes you. Seen in this harsh light, even cultural trends that are entirely unobjectionable on their face — the turn toward minimalism, say, or the rise of streaming services, or the Kondoesque pursuit of decluttering — can be understood as moves toward frictionlessness and the elimination of anything that would encumber the homedweller as plausible service provider and autonomous economic actor. As we’ve seen, as well, the pressures involved in supporting this way of life cascade downward to a frankly subaltern class, exposed to many of the same requirements of personability, fitness and perpetual availability, yet expected to tolerate the whims, tantrums and outright harassment of their betters in silence. The question, then, remains today what it always has been: efficiency for whom, exactly? Whose time and energy are valued, and whose are sacrificed on the altar of another’s freedom to move and to act? If we but trace them with a little care, the new logics of domestic ease make the answers to questions like these distressingly, unavoidably clear, to the point that whenever any such proposition arises, it’s worth interrogating both its “smart” and “home” aspects with the greatest care. I’m not sure if it’s entirely discernible from the things I’ve written here, but my political sentiments these past few years have taken a reasonably sharp turn toward the position known as degrowth: the acceptance that, in Edward Abbey’s words, economic “growth for its own sake is the ideology of the cancer cell”; the belief that collective prosperity and wellbeing are possible in the absence of such growth, indeed orthogonal to it; and the commitment to a way of life where value has ever less to do with the production and consumption of market goods. These are things I believe and try to live by, not without some struggle, and I’m going to be writing more about that struggle in short order, both here and elsewhere. But before I do any of that, I want to acknowledge the staggering magnitude of the challenge involved in degrowing the economy wisely, responsibly and with care and solidarity for all, given our present sociotechnical circumstances. And I’m going to do so in the first instance by invoking a concrete practical example: the handle I recently bought for my Brompton bicycle. As a convivial tool, I have to imagine the Brompton is all but unrivaled. * Both mechanically self-explanatory and human-scaled, it is par excellence a machine for urban mobility. Like all bicycles, of course, I can use it to get around town. But unlike most bicycles, I can collapse it in a few quick folds, so I can take it with me on the bus, or wheel it into a cafe or bar rather than locking it up outside exposed to the weather and the risk of theft. As a manufactured object and a way of moving through a real city both, it has self-evidently been cannily, cleverly and thoughtfully designed. Every good designer, though, knows that bringing anything complex into being necessarily involves tradeoffs and compromises. And one of the tradeoffs most noticeable in the design of the Brompton is that the very moves necessary to make it fold elegantly produce a rather unwieldy package in its collapsed configuration. That the Brompton specifically is considerably more wieldy than competing folding bikes is surely one of the primary reasons for its success: it’s been devised in such a way as to let it function as sort of a trolley when folded, with all the greasy mechanicals safely tucked away on the inside. You can haul it around supermarket aisles and the like on the almost-vestigial little wheels mounted to the fender and the frame for just this purpose. But none of that means it’s particularly light or pleasant to carry in this mode…and that really tells when you’re doing something like rushing across a crowded concourse to catch the last train home. Enter the Fahrer carrying handle. By fusing together some carefully-trimmed nylon webbing, a strip of Velcro and an off-the-shelf, commodity plastic grip, this clever little aftermarket accessory allows the rider to lift the folded Brompton from something much closer to its center of gravity. It’s a godsend for the harried urban cyclist, and a middle finger for all the chiropractors and physiotherapists one imagines cleaning up on yoiking Brompton-sore spines and shoulders back into shape. But it’s also, dig, the fruit of an unprecedented ramification and refinement in the global product-innovation ecosystem. Combine the extraordinary democratization of digital design tools and rapid-prototyping capability; low-cost, generally Pearl River Delta-based fabrication, as well as the well-lubricated global logistics network and Chinese state policies that allow these factories to price and move goods as though they were made next door; and not least a designer’s ability to raise capital through crowdsourcing platforms, market through viral social media, and bring the things they make to market at scale via platforms like Amazon, and you wind up with two things: a dizzying cornucopia of mostly wonderful new things in the world, most of which are necessarily shortly bound for the landfill, and (/therefore) a near-insuperable challenge to the idea of putting brakes on the use of Earthly resources to make things for sale. Maybe the Fahrer handle itself didn’t come about in exactly this way, but it might as well have. For all intents and purposes, these days just about any one of the few hundred million people sufficiently privileged to make use of that ecosystem can perceive a need not currently being addressed by the market and mount a response — generally, a response framed in terms of that market, and thereby extending its dominion. What previous generations might have thought of as garage or garden-shed tinkerers willy-nilly become capitalists now, entrepreneurs, self-conscious “innovators.” By the same token, though, an ever-greater amount of material-energetic investment is invoked to produce things of ever-lower marginal utility, as just about any passing want results in a manufactured solution, and each manufactured product catalyzes its own downstream explosion of model-specific bolt-ons, clip-ons, accessories and enhancements — many of them in fact originally user-produced, in the way I’ve described here. This isn’t to harsh on the handle in and of itself. It’s hard to put in words, in fact, just how much I appreciate it, and with a negligible amount of maintenance it’ll last as long as the bike it’s mounted to will. It’s equally hard to imagine anyone wanting to return to a world in which only a very few, relatively centralized and hierarchical organizations had the power to determine what got made and what did not, least of all me. But if the sunk material-energetic investment in my handle can at least be plausibly defended, the same can’t necessarily be said about dozens of other things I have strewn around the house, or tens of thousands of things on sale in the neighborhood shopping center on Kingsland Road, or a hundred million things for sale on Amazon and Alibaba. Here indeed is an empire of things, the ecosystem responsible for their existence functioning de facto as a massively distributed, more or less entirely unfunded R&D lab for the major manufacturers, as well as a massive generator of signals relating to desire and agency in its fulfillment. Every single last aspect of this situation is fascinating to me, worth unpacking at some length, and when I hoist my bike by its new handle it is all quite literally present at hand for me. In its own curious way, this handle stands as an object lesson as to why we desperately need to degrow “the economy,” and, at the very same time — at least for anyone possessed of intellectual integrity — a very good argument for the precisely opposite position. Whenever I wrap my hand around it, it makes me acutely aware of the tremendous and growing tension between the gorgeous, entirely laudable desire to ensure that the highest possible number of human beings are able to express themselves materially and the way we presently arrange to attend to that desire. More: it makes me painfully conscious that we have yet to realize anything like the full cost of that arrangement. *I fully acknowledge that the Brompton both suffers in this regard from, and would most likely be impossible as a commercial proposition without, its reliance on proprietary, noncommodity, non-industry standard components. A fully convivial folding bicycle — designed as thoughtfully as the Brompton, but engineered from the wheels up to use components even the least well-equipped bikeshop will have in stock or which are otherwise user-serviceable — is certainly something worth thinking about. I am very pleased, and every bit as proud, to announce the publication of the latest SUPERTOME to emerge from the Urban Age process, Shaping Cities in an Urban Age, and with it my essay “Of Systems and Purposes.” It won’t contain anything to startle those of you who have been following my work for awhile — you’ll see, for example, that I once again return to the Beer well — but I do think it’s a pretty neat distillation of my thought about cities and technology as it’s developed over the past several years. I reprint it here for your enjoyment. I’m particularly delighted that my work is featured alongside that of so many urbanists I respect enormously, in such a physically beautiful edition. My congratulations to Ricky Burdett, Philipp Rode, and especially the book’s indefatigable production team. Kay could perhaps be forgiven for the comment’s Promethean hubris, central as he was to the intellectual life of Xerox’s celebrated Palo Alto Research Center (PARC), where so many of the interface conventions we continue to rely upon today were invented. The plain fact of the matter is that an ensemble of techniques invented or extensively developed at PARC, over a period of a very few years in the early 1970s — among them the graphical user interface, the mouse, the windowing system and the kind of multitasking it enabled, laser printing — remain at the core of home and office computer use some forty years down the line. The tools and techniques that Kay and his colleagues at PARC experimented with for their own use really did change the way we all work, think and play, generating a multitrillion-dollar market in the process of doing so. This unimpeachable set of facts certainly does seem to legitimate the premise at the heart of Kay’s claim: that collective futures are something that can be architected at will by the sufficiently visionary. Perhaps unsurprisingly, given the heroic role it casts them in, this notion has been embraced by successive generations of technologists, very much including those now busily at work “disrupting” the processes that have defined urban life since time immemorial. Judging from the frequency with which Kay is invoked in their PowerPoint decks and TED talks, at least, their various interventions in commerce and mobility, self-presentation and socialization, and production, distribution and consumption are consciously intended to realize coherent visions of the future. But which visions? Where Kay’s work at PARC was at least liminally inspired by the liberatory ethos of the Bay Area 1960s — an intellectual current nurtured by the work of thinkers like Illich, Marcuse, Carson and Fuller, the upwelling of the Black Power, feminist and gay-rights movements, the anarchist Diggers and their experiments with Free Stores, Clinics and crashpads, the encounter with mystical-ethical systems of the East, and above all copious amounts of high-grade LSD — his latterday descendants appear to imagine futures of a rather different stripe. Those taking the boldest strides to transform urban life today range from explicit neo-Randians like Uber’s Travis Kalanick, to the avowedly technolibertarian developers of Bitcoin and the technology undergirding it, the blockchain, to those whose political projects — beyond a clear commitment to the standard tenets of entrepreneurial capitalism, as it expresses itself in the neoliberal period — are as yet unclear, like Elon Musk, Jeff Bezos and Mark Zuckerberg. Where on-demand, local digital fabrication of goods (via 3D printing, numerically-controlled laser cutting and milling, etc.) is not possible, conventionally-manufactured products will be shipped, warehoused and distributed to the consumer via an almost fully automated supply and fulfillment chain. While it won’t be possible to do without human labor completely, entire job categories — warehouse worker, commercial truck driver, deliveryperson — will disappear from the economy, never to be replaced. The means of production will be held (and such employment contracts as remain necessary issued) by distributed autonomous organizations, corporations manifested in and as self-directing software. With the greater part of the built environment networked at high resolution, and truly economic microtransactions enabled by digital currency, every market for mobility and commercial or residential space is “liquified,” or ruthlessly optimized for efficient, moment-to-moment value extraction. Access to space (microflats, single rooms, or even workstations) will be leased by the minute, while very, very few spatial resources will escape being harnessed for revenue generation. For those who can afford it, on-demand, point-to-point mobility will be undergirded in most cities by a permanently orbiting fleet of autonomous vehicles. And all the while, thanks to the myriad sensors of the so-called internet of things, everything from physical location to social interaction to bodily and affective states becomes grist for the mill of powerful machine-learning algorithms set to anticipate a wide range of needs and desires, and fulfill them before they quite breach the surface of awareness. In this world, the art of governmentality has been refined to a very high degree. Custodial organizations, State or otherwise, are furnished with a torrential flow of information about our choices, and the unparalleled insight into human motivation that can be gleaned from analysis of that flow. Prudent behavior on the part of the consumer-citizen is enforced by an array of personalized performance targets, incentives and disincentives presented in the form of brightly-gamified “social credit” schemes — networked carrots and sticks sufficient to keep all but the irredeemably anti-social acting within permissible bounds. If this sounds like a grim, dispiriting and airless set of possibilities — and it certainly does to me — it is fortunately unlikely that this particular future will unfold in quite the way imagined by those now busily engaged in the attempt to realize it. Several decades’ accumulated experience with networked technologies suggests that whatever actual impact they do have in the fullness of time often bears little to no resemblance to the visions of the people who devised them, or indeed the concrete experiences of their earliest adopters. It would be profoundly foolish to suppose that technologies like 3D printing, the blockchain or machine learning will have no bearing on the form or function of large-scale urban environments. They undoubtedly will. But when would-be innovators promise that their inventions will directly drive radical change — whether undermining material scarcity and the commodity form (as the inventor of the RepRap 3D printer originally imagined his device would do), stripping bias from the operations of the criminal justice system (as the promoters of risk-assessment algorithms promise) or even allowing exchanges of value to abscond from the visibility of the State entirely (as ideologues of the blockchain hope) — we have reason to believe that circumstances will conspire to confound or even subvert their intentions. Recall Steve Jobs’s astonished comment, upon being shown the algorithmically self-righting Segway scooter for the first time, that “they’ll architect cities around these things.” With this technology in hand, the prospect of undoing at least some of the damage done to cities of the twentieth century by the internal-combustion engine suddenly seemed a great deal more credible. The formless sprawl, the environments legible only at speed, the dependence for mobility on capsular vehicles that isolated occupants from their surroundings and one another, above all the air pollution: in the minds of its earliest advocates and enthusiasts, all of these circumstances stood to be transformed by the Segway. But compare this rather pleasant vision to the world we actually live in some two decades downstream from the Segway’s commercial appearance, where the vehicles remain limited to ferrying around annoying platoons of helmeted tourists, and perhaps the occasional airport security officer. Instead of compelling any gross transformation of the urban environment, let alone the way we collectively think about urban mobility, thus far the Segway’s primary contribution to everyday life has been inspiring the cheap, Chinese-made “hoverboards” whose lithium-ion batteries burst into flames with distressing frequency. Or consider what eventually happened to Craigslist — when it first emerged in the San Francisco of the late 1990s, a virtually utopian space in which goods, skilled services and shelter circulated for free. A passionate community of users grew up around the early Bay Area Craigslist, and something very close to a true gift economy sprung into existence among them: a functioning ecosystem of exchange founded on goodwill and mutuality, in the very heart of the late-capitalist West. For these early users, much of what they’d previously resorted to accomplishing at retail was, for a time, furnished by a single humble, all-but-rudimentary website. And yet, for all its promise and sustaining optimism, this apparition of an entirely different mode of citying somehow failed to take the rest of the world by storm. Putting the indifferent stewardship of its management team to one side, Craigslist was ultimately undone by nothing other than scale. As the userbase drawn by the enticing prospect of free or ultra-low-cost services spiked beyond the Dunbar number — the notional upper bound of a human community in which all the members know one another by name — the bonds of implicit trust necessary to any agalmic community became first harder to sustain, and then impossible to construct at all. And this was replicated in city after city, as the service was rolled out across the planet’s major metropolitan markets, in accordance with the build-once/deploy-many-times ethos that drives the software industry and the logic of unlimited scalability that governs the network. In many ways a victim of its own success, Craigslist just about everywhere soon became cluttered with nakedly commercial listings — listings whose propositions were virtually impossible to verify independently, which flowed onto the site at such implacable velocity that they crowded out the community-generated posts that had so strongly characterized its early days. (What’s more, the platform badly undercut the classified advertising-based business model most free local weeklies depended on, driving many of them to extinction.) None of this looked anything like the neighborly, human-scaled, practically utopian community of exchange its gentle founder Craig Newmark had intended to realize. The Craigslist at scale that we know today, harbor for slumlords, haven for scammers and human traffickers, isn’t so much a negation as an outright renunciation of its initial promise. Some technical innovations, of course, actually do result in profound alterations in the form, tenor and distribution of city life. For every internal combustion engine, safety elevator, tungsten-filament lightbulb or mobile phone, though, there are dozens of Segways or Craigslists. It is striking, furthermore, how often the technologies with truly transformational implications for the city were originally intended to address some other order of challenge or problem entirely. I very much doubt, for example, that Jeff Bezos had the cratering of high-street retail, the choking of big-city streets with parcel-delivery traffic or the staggering reduction in demand for warehousing labor in mind when he sat down to draft his first plans for an online book market. This is a history we might wish to bear in mind when inventors, developers and other interested parties present us with claims that some new technology on offer will surely give rise to radically new (and invariably radically better) permutations of the city. We would be wise to consider that the things they propose will invariably be constrained by what the philosopher Jane Bennett thinks of as “the material recalcitrance of cultural products.” Deeply entrenched systems, structures that are psychic every bit as much as they are political or economic, lay in wait to capture and redirect the energies unleashed by emergent technology, and very often the result of this encounter is something starkly other than any innovators had intended. In this light, we should consider the possibility that Kay’s promise might have been little more than bravado all along, and the successful scaling-up to worldwide hegemony of the ensemble of tools he helped to develop at PARC a one-time, more or less irreproducible fluke, with no particularly salient implications for innovators in other times or places. For all the sweep and verve of his framing of things, then, I personally prefer the perspective offered by another technologist: the great British cybernetician Stafford Beer, who argued that “the purpose of a system is what it does.” We should evaluate a technology, that is, by considering the outcomes it is actually seen to produce when deployed in the world at scale — and not the reputations of its authors, their intentions, institutional affiliations or prior successes, or the ostensible benefits that supposed to attend its adoption. Applying Beer’s bracing realism, the most pernicious words in the technologist’s vocabulary are “might,” “could” and “can,” and the only meaningful test of a proposed technical intervention are the conditions it empirically gives rise to when deployed into a recalcitrant world. We oughtn’t properly even be speaking of “potential”; the only way to ascertain whether or not a given technical or techno-social proposition is indeed within the space of possibility is to build a prototype, deploy it, and await the results. And what we learn when we consider past innovations in the light of this unremitting standard is that technical development, for all its rigors, is the easy part of inventing the future. Seeing an innovation bedded in at the core of some longer-lasting transformation requires the much harder work of making space for it in all the interlocking systems that give shape to our lives: systems of law, governance and regulation, infrastructures both physical and financial (e.g. insurance), social conventions and practices, language, even entrenched habits of mind. And this is perhaps truer still for those who intend to realize progressive urban futures. It is still possible to dream of cities in which the flows of matter and energy necessary to an equitable distribution of goods and lifechances are sustainable over the longer term, in which the rather abstract, Lefebvrian “right to the city” is made concrete in accessible, universal mobility and participatory political processes, and above all in which dignified, decent lives are possible. But translating these aspirations into conditions on the ground will require urbanists to develop fluency with a set of conditions that by and large remain opaque to them, even threatening. We must in the first instance have the courage to think the city in the light of the more outré technical possibilities suddenly available to us. 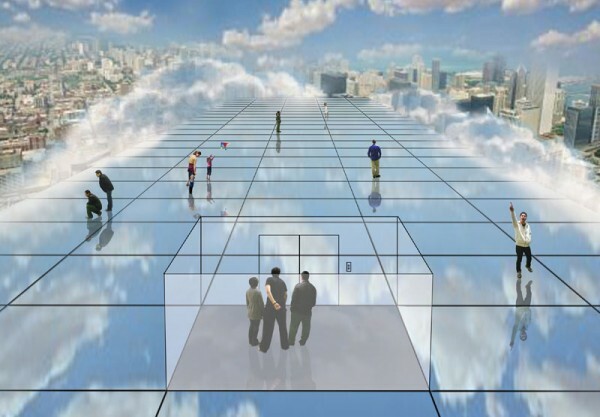 Just what does public space look or feel like, when each of the people occupying it is surrounded at all times by a cloud of semi-autonomous servitors and companions, virtual as well as materially embodied? What remains of high streets, Main Streets or malls once retail as we have known it, with all its ability to communicate, seduce and gather, is exploded into ten thousand separate acts of on-the-spot production or just-in-time fulfilment? What do prospects for entry-level or otherwise unskilled employment look like in that unbundled world, and how will that be felt in the tenor of street life? The ways in which these questions come to be answered will set the boundary conditions for everyday urban life, for the kinds of political struggle that are possible in the urban frame and for the subjectivities and selves that arise there. As we reckon with the lines of flight that now open up to us, however, we must retain the clarity and integrity to ground these possibilities against everything we know about the fate of interventions past. We need to understand the captures, detours and reversals that perennially afflict emergent technologies at the point where they intersect with existing ways of doing, making, dwelling and being, taking note particularly of the fact that technologies that prosper and find traction in the world are very often those which reinforce existing inequities of power. What this implies for urbanists of a politically progressive stripe is that, for a given struggle, conventional community organizing may offer a far better return on investments in energy, effort or other resources than an attempt to drive change via technical means. Working fluently with technology means stripping it of its unearned gloss of neutrality. All technologies are, without exception, expressions of one or another set of values, and therefore by any sane accounting ought to be contested terrain. When Uber becomes popular in a given city, for instance, and that popularity is explicitly cited as justification for not maintaining an adequate level of investment in public transit, we can be sure that what we are seeing is somebody’s values being enacted, if not necessarily our own. Like any other professional or disciplinary community, the adepts of network technology hold tacit beliefs in common. They hold certain conceptions of the just, the true and the beautiful, think the world in certain distinct ways. If they cannot always realize their aims directly, it still behooves us to know what they believe, and understand what it is that they are trying to achieve. Further, the particular set of values inscribed in a technology may have a great deal to do with its fortunes in the world, and how well it is able to function as a purposive invention of the future. Uber is a particularly resonant example; whatever else it may be, it enacts a kind of propaganda of the deed, or what the media scholar Alison Powell calls the argument-by-technology. The vision of hyperindividualism, invidious interpersonal competitiveness and unlimited-convenience-for-those-who-can-afford-it inscribed in the service dovetails perfectly with — one might even say “embraces and extends” — the neoliberal ethos that has prevailed in the developed world for the past four decades. And this perhaps explains why it has been realized, where the rather more humane visions undergirding Craigslist or the Segway plainly have not been. Wherever services like Uber go unchallenged, the imposition of these values is effectively a fait accompli — and with future resource commitments tending to be entrained by path dependence, that achievement sets the initial conditions for everything that follows in its wake. In the end, perhaps the crucial insight is this: urbanists can no longer ignore the impact of developments like machine learning, large-scale data analysis and automation, or treat them as something external to our field of inquiry. Operating at every scale and level of urban life, from vehicle guidance to the mediation of sociality to the aesthetics of the built environment, they are clearly set to exert the most profound influence on the physical spaces of our cities, the things we do in them, the ways they generate meaning and value, and the very selves we understand ourselves to be. It’s no longer tenable for anyone who cares about the life of cities to hold this set of facts at bay, especially those of us who nurture some remaining hope that the master’s tools can be used to build other sorts of houses entirely. And while we needn’t and oughtn’t build our practices exclusively around this class of technologies, we might want to consider how to fold a nuanced, properly skeptical engagement with them into our approach to the design of urban space and experience. 0. What does it do? This question seems so obvious that you mightn’t think it needs to be posed explicitly. Incredibly, though, in my travels I’ve met a huge number of people, both in and out of government, who are so enamored of technological intervention both for its own sake, and for the gloss of modernity they think comes along with it, that they forget to ask just what it is they’re signing up for. Sometimes, indeed, they don’t even care. They should care, and so should you. What is the thing supposed to do in the first place? Does the proposed intervention do what it’s supposed to do? This is by no means a settled matter of fact, even when dealing with technologies that might work stably and well in other contexts. Demand some kind of evidence that the proposed intervention actually functions in the way its vendors and advocates claim it will when deployed in an urban environment like yours, not just for a few weeks, but on an ongoing basis. If no such evidence is forthcoming, feel free to drive a much harder bargain, or to walk away entirely. 2. Do we agree that what it’s supposed to do is something worth doing? 3. Does it do that thing at reasonable cost, compared to other ways of addressing the issue at hand? Maybe the proposed technological deployment serves an end that’s more or less universally regarded as desirable in your city, like reducing violence or vehicular traffic. And maybe the system on offer does actually (consistently, demonstrably, reliably) function toward that end. So far, so good. Are you convinced, though, that you’ve exhausted available ways of addressing the issue at hand that might be cheaper, less complex or less dependent on long-term systems integration, maintenance and upkeep commitments? Perhaps a summer jobs program is more effective at reducing youth violence than a cutting-edge predictive policing suite, and achieves its goals at a fraction of the cost (and without either abrogating the community’s rights or abrading its sensitivities). It might not be as superficially glamorous, and it won’t necessarily get your city talked about in puff pieces on cutting-edge urban innovation, but shouldn’t you exhaust that and other possible alternatives before shelling out in perpetuity for the complicated, big-ticket item? Again, this almost shouldn’t need to be said in so many words, but: if you can’t come up with affirmative answers to questions 1 through 3, you should strongly reconsider whether the investment at hand is one worth making. Note too that the framework I offer here limits itself to a consideration of the smart city at face value and on its own terms, i.e. those of financial cost-effectiveness and process efficiency. The truth, of course, is that are other ways of accounting for cost and benefit, and that the costs reckoned in dollars are neither the only ones incurred in any given deployment of informatic technology, nor by any stretch of the imagination the ones that matter most. But for the moment, let’s agree to place all such considerations to one side. What you might find startling, in doing so, is that the smart city very often cannot even justify itself on its own, artificially constrained terms. One of the things I love best about having done Radical Technologies for a publisher with genuine worldwide reach is that it’s found its way into places none of my previous books ever did. And a delightful consequence of that, in turn, is that I’m hearing from more readers with questions they’d like to discuss further, readers whose perspectives are often relatively far from the concerns of the people who have furnished the core of the audience for my books since Everyware days. I’m always happy to answer their questions, if I can, and still more so when those questions come from disciplinary concerns or perspectives I rarely have occasion to consider myself. This was definitely the case with this next interview, conducted by Matthew Dagher-Margosian of Asia Art Tours. You’ll see pretty quickly what I mean about concerns or perspectives I don’t often get to think about, and I hope you find it as refreshing as I did. Japan is host to numerous art forms whose masters are literally dying off, with no apprentices under them to carry on the art form. After reading [in Radical Technologies] about the Bushido Project, I’m wondering if you see projects like this as a way to archive and save art forms before the masters (and their knowledge) literally die. As with the Bushido Project, could (and should) we apply this technique to other art forms such as calligraphy, ikebana or ceramics? It’s not my place to say, not having mastered any of those forms. But my gut tells me that from the senior practitioner’s perspective, the answer will depend very much on how they perceive their chosen domain of endeavor. In martial arts terms, do they think of themselves as practicing a 道 or a 術? The possible exception, I suppose, would be those masters who share the perspective of the Heart Sutra — that is, that there is no “subject” of a spiritual practice, properly understood, and therefore that any possible distinction between human and posthuman sentiences enacting it is invidious. Everyday I read about tech moguls being obsessed with emotional spaces like Burning Man, LSD usage, “cuddle orgies” or whatever the hell you’d call this trend from the New York Times. Why do tech workers (or perhaps just moguls) build “machines” and systems that tag, categorize and segregate reality but celebrate hedonism and unstructured creativity in their personal lives? Why do they want freedom and lack of structure in their own lives, but abhor this in the systems they build? I have two answers, one perhaps kinder than the other. Jaron Lanier (a big fan of music and art) among others has long praised VR as a potential for greater human connectivity and creativity…giving people a virtual play space to create and connect. I am wondering if you see this same potential? Is creativity and connection possible if these VR platforms are owned by monopolistic concerns as they are now? One of art’s great functions for the wealthy is that it occupies space, and by occupying space it occupies mind. Art hung on a mansion’s barren wall brings meaning that otherwise would make one question the purpose of their wealth and status. I’m wondering if art becomes non-physical (i.e. teamLab’s “digital museum”) or if art is produced by algorithm (non-human actors) how will the wealthy adjust? Will they be willing to support non-human created art that doesn’t occupy physical space (digital)? Regarding the Next Rembrandt project, do you anticipate entirely original artwork will soon be created completely by algorithms? And if so, how would its aesthetic merits be evaluated? For creative endeavors will we soon have digital critic algorithms critiquing (and rating and categorizing in recommendation engines) films/pieces of art produced by other algorithms? Lastly, of all the subjects addressed in Radical Technologies, which do you see as potentially of the most use or of the most utility to future artists? I mean, they’re almost all of them expressive media, they almost all support an aesthetics and a poetics…but I have to confess I’m personally really excited to see where precision digital fabrication goes. I think we’ll see some pretty subtle, potent objects arise out of that, whether formally devised via algorithm or by the human hand and heart. As I seem to have acquired, in some quarters anyway, a reputation as an uncompromising and intractable Luddite where matters of networked technology in everyday domestic life are concerned, I thought I’d share with you today some minor evidence that I’m not unalterably opposed to each and every such appearance. I give you…the Ember. This is precisely the kind of networked device I might have written off as a near-meaningless frippery a few years ago. It’s a nicely-designed ceramic mug with a rechargeable heating element built into its base, allowing you to set the temperature at which you prefer to drink your coffee or tea. All it is, really, is a thermostat — but a thermostat in a surprising, and surprisingly welcome, place. There isn’t any computation to speak of going on. The networked aspect is nicely circumspect, and it’s mainly there to let a smartphone app serve as the user interface, keeping the mug itself appropriately stripped down. You pair it with a phone once, on first setup, and that’s it. Everything else is done through the app, and you don’t even need to interact with that too much once you’ve got your preferences dialed in. I should say that Ember is not perfect, either as a product or as a piece of interaction design. The embedded, multicolor LED fails to communicate much of anything useful, despite its multiple, annoyingly blinky and colorful states; all I really need to know from it is when the mug needs to be recharged. That need arises far too often, at least when it’s set to maintain the temperatures at which I prefer to drink coffee. And inevitably, I have concerns about the nonexistence of any meaningful security measures, a nonexistence that in fairness is endemic to all consumer IoT devices, but remains inexcusable for any of them. But Ember gets some things right, and when it does, they tend to be very right. By far the most important of these is that it works as a mug, prior to the question of any networked or interactive functionality. The vessel has a good heft to it, and when you set it down on a solid surface, the feeling of a damped but substantial mass that’s transmitted through the rubberized rings at its base is just very, very satisfying. The ceramic surface has a pleasingly velvety texture — so much so, in fact, that you can’t help but wonder if it’s one of those miracle materials that will turn out to have been threshold-carcinogenic twenty or thirty years down the line. It’s gratifyingly easy to clean. And as far as that additional functionality is concerned, the mug does what it says it will, does it well…and it’s a hoot. It turns out that there’s a real Weiserian frisson to be had from something that violates all the subtle, subconscious expectations you’ve built up over a lifetime of drinking hot beverages from ceramic mugs. The confoundment of assumptions is so deep, indeed, that it takes you awhile to catch up with the new reality — to realize that you can go answer the doorbell or otherwise be distracted for five or ten minutes, and still come back to a piping hot beverage. In fact, Ember stands the principle of evaporative cooling on its head: because the heating element is still set to maintain a larger volume of liquid at a given temperature, but most of that volume will have been drunk away by the time you get to them, your last few swallows are noticeably, delightfully hotter than any you’ve had since first filling the mug. 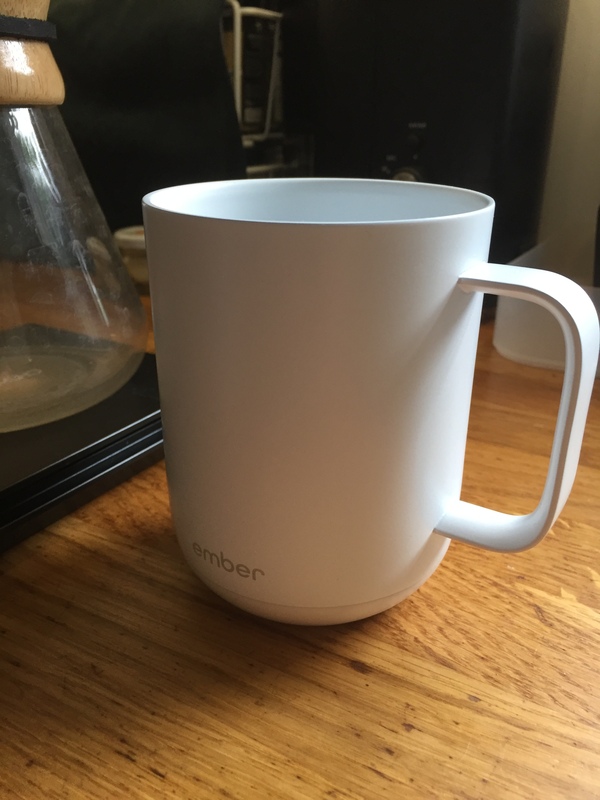 To be clear, the Ember mug is not something anyone needs, especially at this price point. But I admire its clarity of purpose, in leveraging a modest deployment of technology to furnish its user with a small but nevertheless genuine everyday pleasure. And without wanting to be pompous about matters, I happen to believe there’s a crucial role for small but genuine pleasures in difficult times like the ones we happen to be living through. You may find yourself surprised by the degree to which a sip of hot coffee lands when you sip it forty or forty-five minutes after brewing — at least, I surely was, and am — and how psychoemotionally sustaining it can be when it does. Most of that is probably the coffee itself, doing what it is that coffee does, but better by far a networked product that is modest and humble in its aims, and succeeds in meeting them, than one which promises everything and does none of it particularly well. Here’s a brief interview I did with a new publication called Rewired. As you can see, I’m not always super-comfortable with the way the questions are framed, but hopefully manage to bring my answers in for a landing nevertheless. Is there (or will there be) a possibility to be 100% tech-free in our society? No society of human beings has ever been “tech-free,” since well before the moment we first emerged as a distinct species. Like other species on Earth, we have always used technical extensions of our being to enact the satisfaction of need and the fulfillment of desire — always, from before the beginning. Stripped of our technologies, we would not merely no longer be capable of constituting a society, we would no longer be human. You write in the first chapter of Radical Technologies that phonebooths, Walkmans, etc., disappeared. Do you think that people become less attached to objects? But at the same time, why is there this revival of “old school” objects, like vinyl records for example? Part of it, for the older generation of consumers, is no doubt nostalgia. Those of us who were born before 1980 or so have lived through quite an impressive lacuna: we experienced a trough of time during which a great many of the objects that had between them constituted much of the material substrate of social existence in the developed economies simply disappeared from the world. For these objects to reappear in a slight return — dusted off and perhaps upgraded — is a warm bath in the reaffirmation of a baseline psychic normality we thought had fled from the scene forever. As I write to you now I am within arm’s reach of an Olivetti Lettera 33 typewriter and a Western Electric Model 500 rotary telephone, neither of which I actually use for their intended purpose, both of which I keep around as exemplars of the modernism, dynamism and sophistication I remember from my early childhood. And beyond that, there are real pleasures associated with these objects: pleasures that their contemporary near-equivalents simply do not afford, that have value independent of whatever nostalgia they may invoke, and that remain available even to those for whom they constitute entirely novel experiences and not reflections of something remembered. Though I don’t do so myself, I understand that playing a vinyl record isn’t simply a sterile act of media consumption. It’s an auditory and tactile and even olfactory experience, material in nature, sharply bounded in space and time, and in fact subject to physics in a way listening to Spotify just isn’t. That sure seems sufficient to explain why some of us might find the experience desirable. How do you explain the fact that in democratic countries, people are consciously subjected to the dictatorship of tech? I don’t think I know exactly what you mean by “the dictatorship of tech,” but if I understand you correctly, you’re concerned to know why people voluntarily choose the circumstances of their own oppression? All I can say by way of answering is that the dynamic has been recognized for well over a century, and has been addressed by everyone from Engels and the Frankfurt School to Michel Foucault, Martha Nussbaum and Noam Chomsky. I don’t myself believe that there’s anything particularly new about the information-technical turn in this regard. Beyond that, I always feel a little hesitant, even a little shabby in ascribing false consciousness to someone else, as if I and I alone am possessed of an analysis of such Olympian clarity as to lay bare all the ways in which we pull the wool over our own eyes. Nobody you’ll ever meet is quite so smug as the undergraduate who’s just read Marcuse for the first time, or the barstool philosopher who’s seen Manufacturing Consent, and thinks that getting their news from Reddit somehow constitutes a brave, heroic end run around the process of discourse management. Don’t be that guy. You talk in your book about low-waged labor forces in Shenzhen for example, to satisfy our consumption. Do you think that we became numb to other people’s situation? Are we in what Albert Camus would call the “murderous consent”? We were always already numb to the suffering of the other — if, indeed, we weren’t actively indifferent to it. It is our present circumstances, by contrast, that begin to extend the remotest hope of learning from the confrontation with the consequences of our desires. You write that apps like OpenDesk are revolutionizing the way we conceive things. With 3D printers, we can print chairs, tables, etc. You say that with a printer, a laser cutter and feedstock we can make anything at home. Do you find this worrying, as it is easy to imagine someone creating a 3D gun for example? I do not say that with a printer, a laser cutter and feedstock we can make anything at home. I say no such thing. What I do say is that the range of useful things that the untrained, ordinary person can now fabricate, equipped with nothing more than a printer or laser cutter costing a few hundred dollars, has grown considerably. And furthermore, that the range of such things not long ago expanded to include, yes, crude, rudimentary firearms, devised by ideologues and fanatics to prove precisely this point, as a kind of propaganda of the deed. I don’t believe this is cause for any particular concern at the moment, as such weapons clearly tend to pose a greater threat to their own would-be users than they do to anyone else. But, you know, we can see what’s coming. It’s in the mail. And what that suggests to me is that polities or societies that wish to discountenance the spread of such weapons (or other notionally or actually harmful objects that might be fabricated in this way) would be best advised to adopt a layered defense in depth composed of multiple kinds of frictions, retardations and disincentives — in essence, a harm-reduction strategy rather than one of prohibition. You explain that data has political involvements and that “the data is never just the data.” Do you think that governments are blatantly lying to satisfy data? All governments lie, and always have — all human institutions, for that matter, not merely those of state. All human institutions will attempt to create an epistemic environment that’s favorable to their own continuation, by any means at their disposal, at both the micro and macro levels — even when this is not always in their own longer-term interest, as Goodhart’s Law suggests. The manipulation or selective release of statistics was an important component of this sort of effort in the twentieth century, and it is now augmented by the selective collection, manipulation of or differential analysis applied to machine-readable data, sure. Yesterday, Elon Musk said he would make a platform to rate and track a credibility score for journalists. Do you think that more and more actions of the sort will start to take shape? That’s funny. What might actually be more useful is a platform to rate and track Elon Musk’s credibility. The following short piece is my contribution to Imminent Commons, the catalogue accompanying the 2017 Seoul Biennale of Architecture and Urbanism. I hope you enjoy it. Humanity is now, we are so often told, an urban species. Though there are real questions as to what the numbers actually mean, the statistics on planetary urbanization are so often bruited about that they have become something of a cliché. 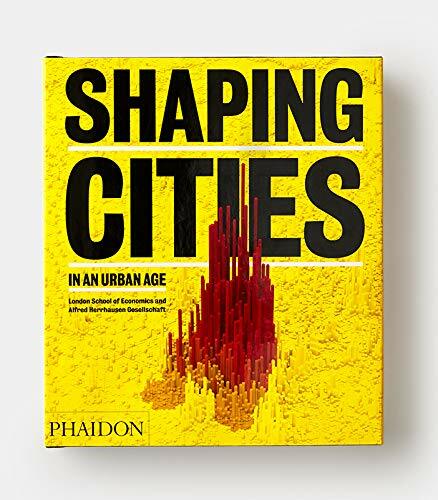 What’s more, popular discourse on the subject appears to have internalized the notion that the great cities of Earth aren’t merely significant for their concentration of habitation, but for the beneficial effects that habitation gives rise to. Disproportionately generators of economic vitality, technical innovation and cultural dynamism, our cities may even be able to function as lifeboats capable of sustaining us through the ecological reckoning that is now bearing down on our civilization. If it is an urban age, though, it is also a networked one. Between the comprehensive instrumentation of the built environment, and the smartphones that so many of us now carry through every moment of the waking day — simultaneously sensor platform, aperture onto the global network, and remote control for the connected systems and services all around us — the colonization of everyday urban life by information processing is virtually complete. And finally, we appear to have entered an age in which the more-or-less stable neoliberal consensus that held global sway for the past four decades has started to erode. Thus far, the most notable and distressing result of this erosion has been a turn toward authoritarian and xenophobic ethnonationalisms of one stripe or another, its traces evident in the Brexit referendum, the 2016 US presidential election, and a long list of autocracies in the ascendant, from Russia to Turkey to the Philippines. But more hopefully, the eclipse of neoliberal hegemony has opened up a space in which some dare to imagine an entirely new way of organizing the productive processes of life: a commons beyond state and market both, in which networked collaboration, distributed material and energetic production, and horizontal forms of governance give rise to striking new possibilities for a just, equitable and fructifying urbanism. By leveraging the decentralizing tendencies that appear to be implicit in our networked technologies, and the configurations of power they in principle give rise to, we can even begin to imagine what a networked urban commons would look like, and how it might work, at global scale — as a desirable end in itself, an antidote to the anomie and widespread sense of powerlessness that underlie the turn toward xenophobic authoritarianism, and a means of restoring some semblance of ecological balance. Those of us who are interested in bringing such a state of affairs into being, though, might find that our hopes are dashed at the outset by a lack of clarity about how the technologies involved actually work, naiveté about those parties who currently wield them most effectively, or confusion about what a true commons would require of us. At present, we can see networked technology being layered onto urban place along three basic trajectories: one based largely on the needs of multinational technology vendors; one with roots in the Silicon Valley startup and venture-capital complex; and one — the subtlest yet most promising of all — as yet indistinct. By examining each of them in turn, we can learn more about what is at stake in the advent of networked urbanism, and perhaps chart a course through the Scylla and Charybdis of unwise choices toward a more fruitful future for all. In his public appearances, the presidential candidate Moon Jae-in is fond of invoking a comprehensive vision of heavily technologized everyday life that involves “smart house, smart road, smart city” — indeed, an entire “Smart Korea.” There may be no place on Earth closer to concrete fulfillment of Moon’s objective than New Songdo City, a municipality of 90,000 souls built on some 53 square kilometers of tidal flats recovered from the Yellow Sea. In Songdo, both domestic spaces and the entire built fabric have been instrumented, allowing the city’s controllers to monitor and adjust traffic flow and energy utilization in real time. As ambitious as this sounds, it’s an only slightly more elaborate version of a conception of networked urbanism that is common to municipal administrators and technology enthusiasts the world over. In its raw outlines, this conception seeks to harness the CCTV cameras and networked sensors installed throughout the urban milieu, as well as the torrential streams of data flowing off of our personal devices, to realize greater efficiency and enhance that ever-elusive property known as “quality of life.” By submitting these flows of data to advanced analytic techniques based on machine learning, all kinds of benefits can be obtained: the nominal “optimization” of material and energetic flows, the streamlined delivery of municipal services, even the preemption of undesirable conditions (whether traffic jams or criminal offenses). globally, multinationals like Siemens, IBM, Hitachi or Microsoft; in Korea the infrastructure, systems-integration and real estate development arms of the familiar chaebol. Because they generally lack the organic technical competence to determine what kinds of hardware and software might best serve their needs, city governments entering this market are perforce compelled to buy what these vendors have to sell, whether or not the problems those systems are designed to solve bear any particular resemblance to the issues perceived by their constituents. This was certainly the case in Songdo, where the expensive and elaborate Cisco “telepresence” hardware planned for each apartment unit in the city was rendered obsolete even before it was deployed, outmoded instantly by free smartphone- and tablet-based video chat applications like Kakao Talk and FaceTime. The second problem follows on from this. By its very nature, the municipal procurement process involves one set of centralized, hierarchical actors (i.e. technology vendors) interacting with another (local bureaucracies). As a result, the multispectral awareness that might in principle be derived from large-scale analysis of data is generally retained for the exclusive use of municipal administrators, habitually and instinctively — and not, in other words, made available to the public who generated the data in the first place. What is offered to us wreathed in the ostensible glamor of technological futurity, then, is here revealed to be something that’s actually rather dowdy and retrograde: old-style technocratic management from the top down. Not by any stretch of the imagination something consonant with the will to collective self-determination, it cannot be reconciled with the commons without contortions that verge on intellectual dishonesty, however well-intentioned they may be. And there is a final issue: daily life in Songdo, at least, appears to be rather soulless and dull. NPR quotes a young resident who describes it as a nonplace and a “prison,” and compares her escape into Seoul and all its nightlife at the end of the workweek to a jailbreak. This is admittedly a single data point, but it hardly makes a compelling argument for quality of life in the well-tuned city. In its current form, then, the smart city as delivered by vendors is not merely ill-advised, nor merely unlikely to support the kind of vivid experiences we associate with big-city life, but actively detrimental to the achievement of an urbanism consistent with the values of the commons. A case in point can be found in the recent Korean experience of mass public demonstrations, which illustrate like relatively few other moments in history the power that an aggrieved citizenry claims for itself when it takes to the streets in protest of an order that has become intolerable. As it happens, the technologies bound together under the banner of the smart city have no way of accounting for this kind of active practice of democracy. 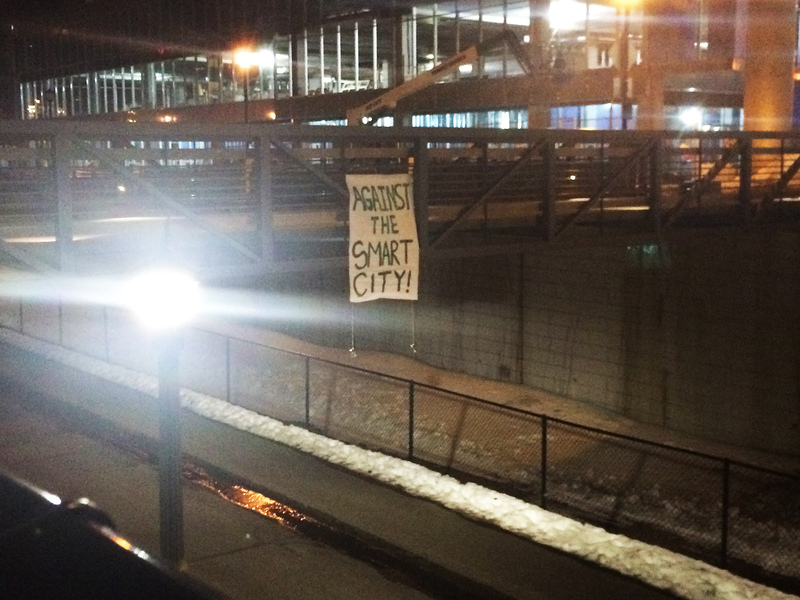 Far from recognizing mass demonstrations as the signal of public sentiment they surely are, the smart city can only interpret such protests as a disruption to business as usual: first as an anomaly to be detected, then as an inefficiency to be contained, minimized, neutralized or eliminated. It’s worth unpacking just what business as usual looks like to the architects of the smart city, what conceptions of the normal and the ordinary they may hold in mind when designing the algorithms responsible for detecting imminent departures from normalcy and triggering preemptive action. And here we need to address the fact that even in software development, there is such a thing as fashion. Once something practiced by a self-consciously professional cohort given to horn-rim glasses, crisp short-sleeve shirts and pocket protectors — call it the Mission Control look — software engineering is, in its Northern Californian and Pacific Northwest fastnesses, dominated by a young, privileged and remarkably homogeneous technical elite. At present, you cannot walk down the streets of San Francisco — a city whose name was once synonymous with the radical, the queer, the experimental and the frankly marginal — without running headfirst into a mostly male scrum of software engineers in their mid-twenties, in their universal uniform of fitted hoodies and $400 sneakers, talking unit tests and code sprints. To a surprisingly great extent, it is their tastes, predilections, priorities and values that urban technology is increasingly designed around. If the multinational vendor, in all its centralization, conservatism and ponderous lack of agility, represents one of the two predominant modes in which information technology is now applied to the life of cities, the other is typified by the proverbial Bay Area tech startup, with its addiction to venture capital and its imperative to “move fast and break things.” Thus the emphasis on convenience and immediate gratification we see in offerings like Airbnb, Tinder, TaskRabbit and above all Uber: services whose socially corrosive effects were self-evident virtually from the outset, though they are only recently becoming matters of widespread controversy. It is now beyond dispute that Airbnb has undermined the market for affordable rental housing in city after city, just as Uber’s massive, outsourced fleet has drastically increased traffic in cities around the world, even as it drained custom and resources from public transit. What these services offer is nothing less than a shared reality platform for everyone wealthy enough, and sufficiently comfortable with technology, to use them fluently — a platform that privatizes benefits and sheds costs on the public so nakedly indeed that we no longer hear much talk of a putative “sharing economy.” Though these effects can be noted in every market where these services operate, they’re felt particularly acutely in the Bay Area, where life for those who most closely resemble software developers demographically and psychographically often does seem to consist of near-effortless algorithmically-streamlined ease, albeit at the cost of a slowly decaying public realm for everyone else. It is telling, in this withdrawal from any pretense at convivial urbanity, that we don’t even discuss progress anymore, only “innovation.” In doing so, we preemptively surrender the terrain of the social imagination to the likes of Elon Musk, Jeff Bezos and Mark Zuckerberg, if not still more impoverished souls like Travis Kalanick or Peter Thiel. If the urban condition that results from their everted imaginings is not quite the brutal reality of first-generation smart cities like Masdar City, in the United Arab Emirates — where Pakistani, Bangladeshi and Filipino guest workers labor long, thanklessly and at great personal risk to keep the city turning over, and end their days in metal shipping containers arrayed behind razor wire under the broiling desert sun — neither does it have much to do with how cities have traditionally generated meaning and value for their inhabitants. Thus far, at least, everyday life in this capsular, app-mediated city appears to be defined by its exclusions. By contrast, the Greek architect and activist Stavros Stavrides, in his recent book on practices of spatial commoning, emphasizes the profoundly invitational aspect of any true commons, its quality of radical openness and porosity. If neither the multinational nor the startup way of doing networked cities quite works to produce such conditions on the ground, where can we go looking for a model that might do so? Perhaps the greatest irony of all, in the present context, is that certain aspects of vernacular Korean urbanism already work quite well in this regard. Without fetishizing them, or sugarcoating their less felicitous aspects, Korean cities even now reliably generate an informality and canniness in the use of space that comes much closer to achieving the vision of a life in common than anything on offer from either wing of the tech industry. Not so much the newly-built, gated apartment complexes, of course, with their Ballardian full-service towerblocks rising in endless numbered ranks, but in older city cores throughout the country. Here the ajeossi play an impromptu game of baduk in a doorway, seated on torn cardboard box covers; there a sudden chicken-and-beer stand has popped up on an unused concrete forecourt; above, tucked into the fifth floor of an otherwise anonymous office building, is the jjimjilbang with beauty salon and restaurant and game parlor attached, pulsing with life and activity through 24 hours of the day. These things may not read that way to a globalized elite smitten with enticingly glossy corporate visions of the future, but to a certain kind of Western visitor, these feel like signals of the way life in the networked city could be: spontaneous, mobile, flexible, convivial, and above all open. Could we design networked platforms and systems that generated this kind of urban experience, not merely for a few, but for everyone? The answer is almost certainly yes — but successfully doing so would require that we learn to wield networked technology quite differently than we do at present. It would be necessary, first, to step back and ask what we are actually trying to achieve by deploying networked systems in the urban frame. We would have to test and iterate and test again, and discard for good that which is seen not to work. This, of course, runs almost directly counter to several aspects of the way we do things now: the headlong pace of technical innovation most obviously, but also its ahistoricity. It would be necessary to press for specifics, whenever we are offered hype, buzzwords and promises. We would have to ask hard questions about how technologies actually function when used by real people in real environments, and not simply be seduced by lovingly-crafted renderings or animated flythroughs. It would be necessary to nurture more space outside the market in particular. If “the commons” is to mean anything at all, it can only refer to a milieu where neither the values of the state nor those of the market prevail, leaving room for mutuality, solidarity and positive-sum collaboration — the diametric opposite, in other words, of the condition that broadly obtains in the West now, where the market sets the ground conditions of everyday life, and the state is increasingly figured as something that exists solely to guarantee the operating conditions for private enterprise. It remains to be seen how this model might apply to a place like Korea, where the dynamics of the developmental state retain a powerful hold on the national psyche, but it would clearly be an uphill battle. Finally, regardless of the particular set of political commitments we hope to see observed in the design of urban technologies, it would be necessary for us to consider with the greatest care what kind of subjectivity our use of these systems give rise to. We would have to ask who we become in their presence and through their use, and be prepared to redesign everything if we don’t much care for the answers. The examples I’ve offered here ought to make it clear if what we seek to achieve is a life in common, the whole quest for technological “smart” is something akin to a category error, where it isn’t simply intellectually bankrupt. We know in any event that any city deserving of the name is always already smart, and that its intelligence resides in the people who live in it and give it life. The task that remains before us is to design technical systems that are respectful of that intelligence, and allow it to speak itself. In the final analysis, this task cannot be outsourced. It cannot be optimized. It cannot be automated. It will require of us profound investments of time, energy and care. But the reward would be considerable: a place, or a meshwork of places, where everyday life is spontaneous and convivial, where the conditions of equity, justice and ecological balance are finally realized, where our quest to be human in full might find at last a natural home and ground.